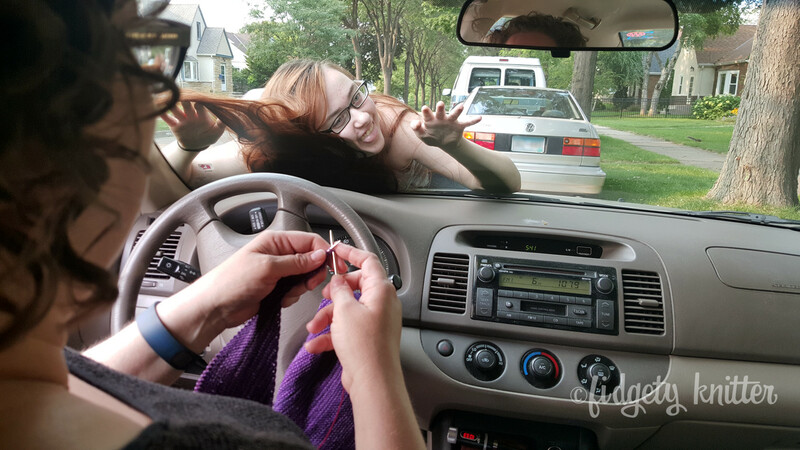 Oh the places you’ll knit! 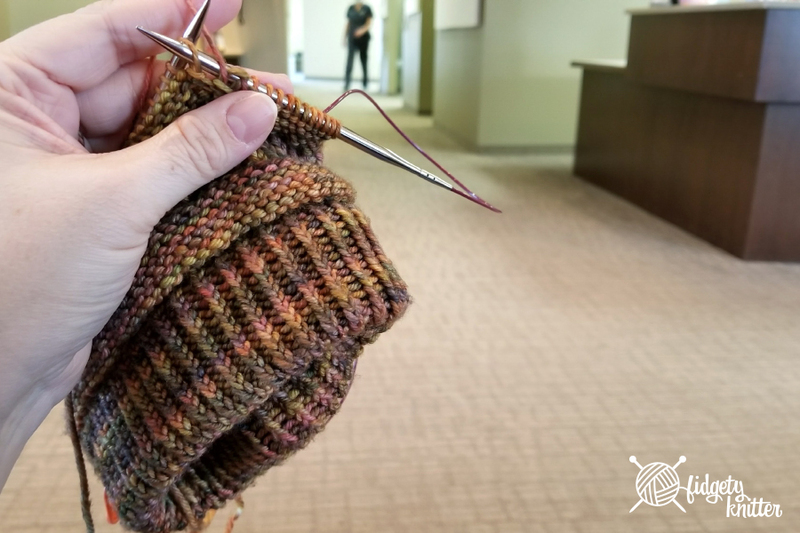 I’m a knit-in-public kind of person. I almost always have a small knitting project in my bag. I belong to two knitting groups that meet in public places. I’ve knit in church, lectures, restaurants, theaters and on public transportation. I knit at lunch every day at work. So when someone says they just don’t have enough time to knit, I am full of ideas of where they could pull out their knitting. Meeting to strategize? Pull out the knitting. Long ride to work? Stitch a couple of rows. Waiting at the bar? Perfect time to work on those socks.